New ! 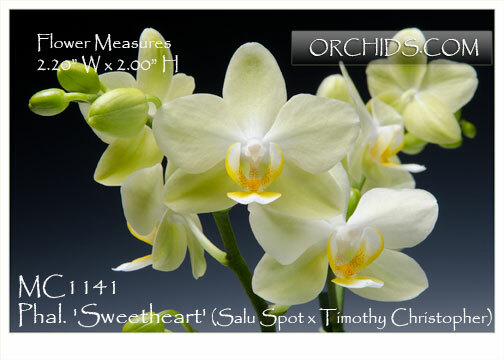 Cutting-edge breeding in art-shade Sweetheart phalaenopsis at its best ! A multitude of pastel lime green flowers , overlaid with a central blush which radiates to subtle striping, thus creating a stunning art-shade bloom. Yellow lips add the perfect finishing touch. 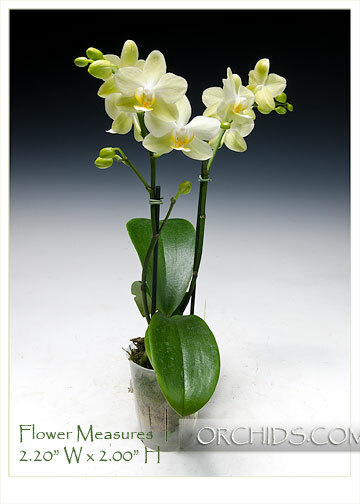 Robust growers with long-lasting heavy substance flowers on vigorously branching spikes when mature. A "brilliant" new addition to our Sweetheart Collection.